Where to Find the Best Single Day Lift Ticket Deals. Discount Whistler lift ticket deals come and go with the seasons and are different every year. Finding out where to buy your tickets at the best price can be pretty tricky. When I was the Blackcomb Sales Manager, we used to recommend the Edge Card for the best deal for BC and WA residents. I’m not so sure that’s still true today, especially when you consider all the websites that sell tickets online now. The intention of this article is to help you with your research and help you track down the best discount for your Whistler tickets. Lift tickets are available November – April. Get huge discounts over ticket window prices at Whistler! Tickets are available to anyone, not just Capilano Students. Students also get a chance to buy their discounted Whistler/Blackcomb Season Pass through the CSU. More details on lift ticket deals at CSU. 5 + 10 Day EDGE Cards: FREE Early Season Bonus Day, for use from Opening to December 18, 2015. All EDGE Cards: RFID Gated Lift Access. Enjoy the convenience of hands-free gate access to the lifts. EARLY BIRD ENDS NOVEMBER 23rd – Until November 23rd, EDGE cards are going for the super-reasonable rate of $70 a day for 10-day cards, and $80 for five-day cards. As an added bonus, you will receive a free early season day (valid between Opening Day and December 18th) when you purchase a five or 10-day EDGE Card before November 23rd. EDGE Cards also nab you perks (up to 20% off rentals and shopping—hello!) and even some lodging deals. Plus, they facilitate your access to some of the coolest upgrades on the mountain this season. Order EDGE Cards here. Whistler Blackcomb’s official opening day for the 2015.2016 season is Thursday, November 26, 2015. To celebrate the 50th anniversary, Whistler Blackcomb is offering early booking Ski & Stay Packages; guests can save up to 40% off before November 15, 2015. Learn more here: whistlerblackcomb.com/bookearly. Whistler Blackcomb continues to offer early bird family pricing; for example, kids are FREE this winter. Children 12 and under stay, ski, rent and transfer free as long as they are with a paying adult. For more information and other family friendly deals, visit whistlerblackcomb.com/family. Whistler # 1 by SKI Magazine for 3rd time in 4 years. Top of ranking in Terrain Variety, Off-Hill Activities, Après-Ski and Terrain Park. Second Place for Lifts, Lodging, Scenery and Overall Satisfaction. SKI Magazine’s reader’s poll has ranked Whistler Blackcomb (WB) as the No. 1 best ski resort in North America for the second year in a row. This is the third time in four years that the resort has been given the honour. The poll asks readers to rank 50 North American resorts in several different categories. See the full article in the Whistler Question. Whistler Blackcomb Resort is filled with private vacation rental homes of all shapes and sizes. Budget to Luxury options, built specifically for vacation rentals. Not all resorts are built equally… Whistler Village was designed for tourists by smart resort planners. Whistler’s founders & planners picked the best from international historic resorts, tossed in modern buildings & infrastructure, then created the current award-winning year-round destination. Whistler Resort Food Extravaganza November 5 – 15. Cornucopia 2015, a Foodie’s Utopia. Featuring an expansive variety of hands-on seminars, fascinating winery dinners, gala tasting events and sizzling after-parties. Serving up the finest talent in local Canadian and International food and drink Cornucopia offers something for both the experienced gourmet and those seeking to better appreciate the epicurean delights of wine and food. The Top 25 Reception celebrates the contributions of some of the region’s top wineries. An expert panel of 10 esteemed industry leaders has announced the Top 25 wines from Cornucopia 2015. See the Top 25 list. marTEAni Party a sell out every year! Get nourished in two ways this fall. For 2015, Cornucopia launches the brand-new Nourish Retreat at Cornucopia, where you can commit, retreat-style to the first dynamic weekend of Cornucopia. This full package of Nourish programming gives you three nights and four days dedicated to your mind, body and spirit. Or, choose your workshops a la carte with the Nourish: Health and Wellness Series and drop in to workshops and sessions that speak to your specific interests. There is something here to nourish everyone. From yoga to cooking demonstrations, join us in movement, breath, and farm-to-table dining as you’ve never experienced before. Emerge with an understanding of your personal wellness needs and a greater sense of your place in this vast, beautiful world. To find out more or reserve your place click here. Whistler Cornucopia Luncheon :: An Intimate Meal for 50! This Chef Makes Gourmet Cooking a Spectator Sport! From festive fondues to fabulous cocktails – we experience a sampling of the offerings of Cornucopia – Whistler’s premier food and drink extravaganza. Tips to get the Best Deals on ski & snowboard gear. Heading to the Turkey Sale this year? If you’ve ever gone before you know it can be a bit overwhelming as there is so much to choose from, not to mention the crowds and then well the deals that lure you in! Things jump out at you from all over, or at least it seems that way. And then you get caught up in the moment and end up taking something home that stays in the closet all year. Whether you’re a veteran or it is your first foray into Whistler’s Turkey Sale jungle, here are some tips to survive the Turkey Sale and walk away with the best deals possible. Do your research before you go. Find out what kind of gear you are looking for and why, also know what other deals are out there so you know how good the prices actually are. If you’re looking to buy new ski or snowboard boots, get your foot measured by a professional before you head to the Turkey Sale. Get them to recommend a brand and style that suits your foot and stance the best and which brand is the most adjustable to you. This will save you from getting a pair that you end of selling in the swap next year. Things go quickly at the Turkey Sale so grab your hot chocolate or latte and get in line before the doors open especially if you’re looking for something specific. And bring it with you! Decide what you want ahead of time and write it down. Bring you list with you and refer to it often, it will help you stay on task and not get overwhelmed in the heat of the moment. Just as any seasoned consignment store shopper knows, new gear is put out every day, so if you didn’t see what you were looking for the first time, go back and give it another go, it may just be it gets put out on the second or last day. Clean out your closet to make room for the new gear you’re going to find. Take your used quality equipment to the SWAP located at the base of Blackcomb. Parking in lots 4 and 5 are free, and located just a five minute walk from the Turkey Sale in the Blackcomb Daylodge. Whistler Blackcomb will be operating a free shuttle throughout the weekend from lots 4 and 5 to and from the Daylodge. $15 frozen turkeys will be on sale starting at 9am on Saturday, October 11. All proceeds from the Thanksgiving birds sold will go towards the Whistler Food Bank. Where & When is the Turkey Sale? The Legendary Turkey Sale, where you can shop for the top name brands in ski and snowboard equipment under one roof, at huge pre season savings. The main attraction is at the Blackcomb Daylodge, but the deals and activities don’t stop there. Local retailers, accommodation and restaurants are all sharing in the Thanksgiving spirit. The Turkey Sale, and all of the Thanksgiving activities that go along with it, starts at high noon Friday October 9, with a sale for locals and lasts through the weekend. Don’t forget to pick up your Seasons Pass or EDGE Card while checking out the sale. Whistler Bears: Lets Keep People Safe & Bears Wild. This time of year, bears throughout the province are out and about searching and competing for available food sources while gearing up for the winter months. As we move into late summer and early fall, human-bear conflicts will be on the rise. In Pique Newsmagazine Sept 8, 2015 article, Michael Allen, who’s been studying the region’s bears for over two decades, said that Whistler’s alpine berry crop – a vital food source for local bears as they fatten up for winter – has virtually disappeared after a hot, dry summer. “The simplest way to put it is that the bears ate the fall crop in the summer,” Allen explained. Knowing how to avoid bears and what to do when you see one will help keep you and the bears safe. Here are some key things you can do to help keep bears and people safe. Manage your garbage and recyling so that bears cannot access it. Put all garbage and recycling in wildlife-proof containers or enclosures. Do NOT leave garbage in your vehicle. Manage other attractants such as barbeques, bird feeders and fruit/berry bushes. Keep them clean or out of reach, so as not to tempt bears to hang around human-inhabited areas. Hike, bike and camp in a Bear Smart manner. Make lots of noise to avoid surprising bears, travel in groups, and always secure your food and other attractants well out of reach. Learn more. Keep your picnic or camp site attractant-free. Avoid bears. Never approach a bear. If you see a bear, keep your distance, back away slowly and leave the area. Report the sighting to theBritish Columbia Conservation Officer Service at 1-877-952-7277 or 604-905-BEAR. Know what to do in case of an encounter by learning more about bears and their behaviour. Learn more. Carry bear spray and know how to use it. Learn more. Stay clear of dead wildlife. Carcasses attract bears; leave the area immediately if you come across a dead animal. Slow down if you are driving and see a bear on the roadside. It’s tempting to stop and watch but moving on is safer for bears and other traffic. Never feed a bear, either intentionally or unintentionally, by being careless with your garbage or food scraps. Visit the Bear Smart Whistler website. Go on a Whistler Bear Watching Tour. Bear-watching tours provide the opportunity to watch the bears in their natural environment, while getting to know their personalities and even their names. Video of a large black bear in Whistler Blackcomb, British Columbia, Canada. These two black bears explore people’s backyards for food – be it garbage, berries or grass. While they’re at it, they take time to have some fun! Getting into a sketchy mountain bike / bear encounter at whistler. This hungry bear was walking in the village and smelled some good food behind a door. so what do you do? you ring the door bell! Learn More about Bear Behaviour, check out the Alberta Bear Smart video: Think like a Bear! Get a Package Deal, Without Buying a “Package”. Find the best deal for multi-day lift tickets to go with your Whistler vacation rentals. 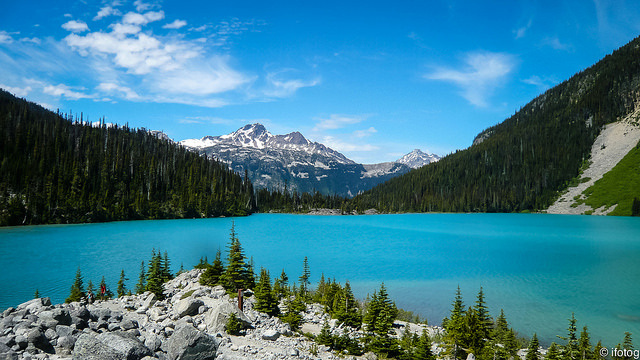 See Whistler like a local by renting owner direct. Prime, scam-free rentals in various Whistler neighbourhoods. Whistler Vacation Rental Map & Guide :: Shows Whistler’s best ski in ski out & golf course locations, along with all the condo building names. Find the best locations before you make your reservations.